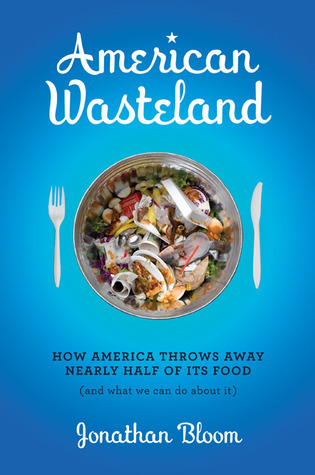 In honor of Campus Sustainability Day, let’s talk a bit more about campus food waste. 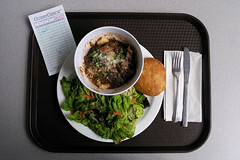 The trayless college cafeteria, an idea started at Maine’s St. Joseph’s College, is creeping across the nation. A range of schools are cutting down on waste by eliminating trays from all-you-can-eat cafeterias, reducing “take a lot, eat a little” waste. It’s no huge surprise that San Francisco State, in the progressive Bay Area, has eliminated trays. Maine’s Colby College has “Trayless Thursdays,” where they have one third less waste. When traylessness hits the University of Central Oklahoma, you know the idea is spreading. The “Bronchos” food service provider, Chartwells, has pulled trays as part of Project Clean Plate, which it hopes will reduce food waste by 45 percent. Finally, those virtuous prepsters at Choate are considering going trayless. Under the direction of the school’s Sustainability Committee, Choate and ARAMARK will be measuring food waste with and without trays in the upcoming weeks (on Thursday hamburger day! ).